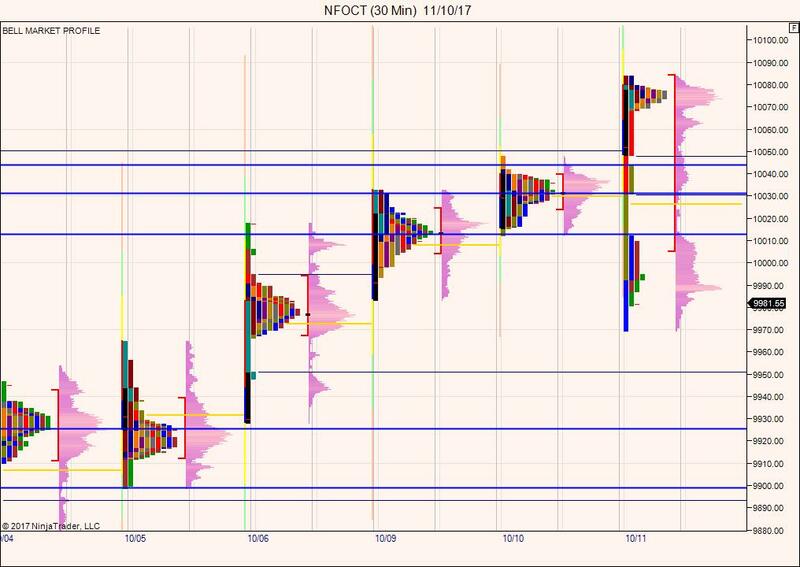 Nifty Futures had done a inventory adjustment in a steep slope on last Wednesday trading. It is more of short sellers day where an emotional short selling is witnessed in the second half of the session. Indicator sentiment remains positive for the 7th day. 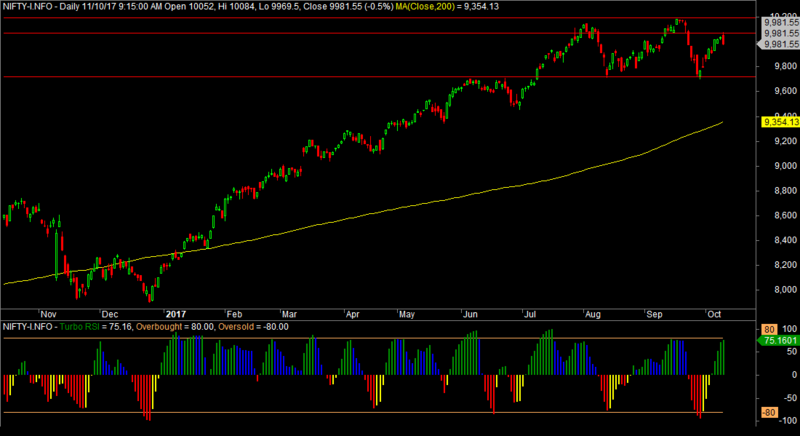 Nifty Futures on the Daily chart is trading above 50 day moving average 9960. Put writers are active and aggressive at 9800,9900 and 10000 levels. Volatility continues to be low Immediate support comes around 9960 levels. Profile sentiment continues to be positive. Price accepting above 10013 will possibly test Weekly Gap reference 10084 and 10200 in the very near term. PCR at 9900 and 10000 strikes comes around 1.06 and 1.85 respectively. Nifty profile charts made a emotional profile with triple distribution. Trading sentimental reference comes around 10013. Point of control failed to migrate along with the price with poor high at the days top. Price holding above 10013 will hold the current ongoing sentiment to positive.